And she replied: "How am I to do this when I am the poorest and most ignorant of my village? "Go my child, for I am with you" purportedly said the voice from heaven. Thus she began speaking of the predictions that were revealed to her. 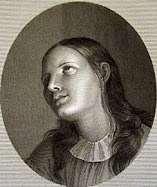 In May of 1866, Mr. Gabriel-Désiré Laverdant, one of the editors of the French periodical ‘Memorial Catholique’ interviewed Madeleine Porsat and recorded many of her prophesies, which he published with some commentaries in the above-mentioned monthly review later that year, and in more detail also in 1868. Two of the books in the References section below state that Mr. Gabriel-Désiré Laverdant then interviewed Madeleine a second time in June of 1869, and confirmed with her, line by line, the prophesy presented below. 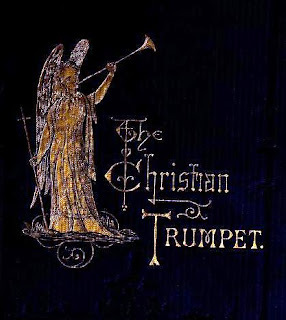 In 1873, a summary of these predictions was then published in English in a book entitled “The Christian Trumpet” by Gaudentius Rossi. 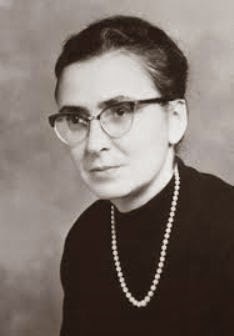 For the first time on an English website the prophecy of Madeleine Porsat is presented below for your own discernment. As with all yet to be approved mystics and visionaries, I publish this information under the category of "We report, you discern". is not an ordinary event. It is a great epoch which is going to commence. It is the third (era of the world). -First Epoch of humanity: The time of God the Father [Old Testament], beginning with the creation of Adam until the universal deluge (great flood), OR to the birth of Christ. "After the Father who has created us, in order that we may know, love, and serve him; after the Son, who has saved us; behold now the Father and the Son to console us, are sending to us the Triumphant Spirit with Mary His Spouse. This is a great miracle! "Mary comes from Heaven. She comes accompanied by a legion of angels. The elect living upon earth must fervently rise up in order to go forward and meet the messengers of God. Behold the Army of the Lord! Many holy women, but only a few St. Johns. Behold the armor of God! No guns or muskets, no clubs or batons, no bars and bolts, no watch-dogs, no material force, no human means. New times and new ways! Peter, have confidence! The Ark comes out of the storm, and a calm will ensue. Pius IX is the last pope of the Church oppressed*. Cross of the cross. To him sorrow, but also joy. After him comes deliverance. Lumen in Celo. Light in Heaven. This is Mary's eye. In the Church, everyone will think that all is lost. Mary arrives. Behold there is confusion; confusion even in the sanctuary, and among the priests. Notwithstanding, it is to the Catholic priests that one shall have to go for absolution and blessing. Mary is powerful but She cannot give us absolution. This is the function of the priest. "Many of the first shall come last. The children, in whom there is no evil, will be the first to hear and see their Immaculate Mother. They will open the way to Mary; and after will come the holy religious men and women, then the good people, rich and poor; All those of good will shall enter: everything is possible in God. Mary comes and to each one she opens the book of his or her conscience. [Here Madeleine forms her hands into a book open towards the public.) The book is not thus turned towards the world, open to the eyes of all: that is kept for the final judgment. But it is open thus: (Here Madeleine opens her hands towards her face). 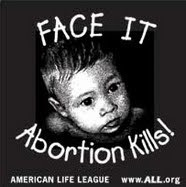 God keeps this first opening of the conscience private to each soul, through the intercession of Mary, tender Mother! This will be a mysterious examination between the Mother and her children; there will be no wounding of self-respect. It will be Mary's confessional. But what abasement! What horror of ones sins! What remorse! What anguish, when in the presence of Mary's purity, each one will see in his mirror his own baseness. And what tears of repentance to wash everything clean! That poor Satan! He thinks he has tied everything together against God but he has not bound Mary. She will overtake him and crush his head under Her heel! "Place a piece of iron in the fire and it comes out of it purified: so it is with the soul in the fire of heaven. In these times we confess to evil, but we do not drive out the evil. We break off the weed, but we do not uproot it; we retain the root of the old man. 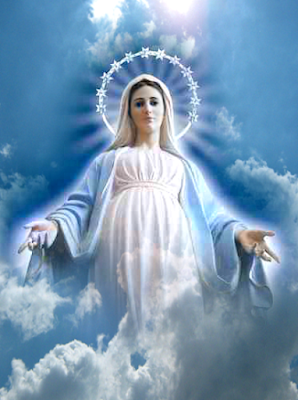 Now, Mary Immaculate desires that we should be completely purified so that our works may become pure. When the wicked shall see their children raised up in the glory of Mary, they will then let themselves go with their children, and through Mary they will be reconciled to God. Thus will God draw everyone into His glory, even the wicked. “Do you think that Mary will come to destroy the work of her Son? The Pope holds the place of God upon earth; so does the bishop in every diocese, and the parish priest in every parish. Behold the representative of Jesus Christ, as a good and religious mother is the image of Mary. Go to your pastors who have been appointed by God. But woe ! woe ! to mercenaries who go to the side of the world! Look at that field where among bad weeds and every kind of damaged wheat there are also some good ears; that is a figure of how human society is now seated in wickedness. What should be done with it? Good souls should not be allowed to perish. The sound ears are good souls. Well! Mary comes to help with the harvest of the elect from the earth. "A grand event shall have to take place in order to terrify the wicked and convert them for hteir own good. After this, Mary all powerful shall help convert all men into good wheat. All shall become good. The Pharisees (hypocritical persons) will be the last to be converted; the great sinners will arrive beforehand. The Jews who have refused to receive Jesus Christ in his humiliation will acknowledge Him at the glorious arrival of Mary. "The dove (the peace and grace of God through Mary) comes to us from heaven, wearing on her breast a white cross, a sign of reconciliation, and waving a sword of fire, symbol of love. She seats herself on a throne of solid gold, a figure of Noah's ark; for She comes to announce the end of a deluge of evils. Behold, she comes, our Mother! The Church prepares everything for the glorious arrival of Mary. The Church forms for her a guard of honor to go before the angels. The triumphal arch is nearly accomplished. The hour is not far distant. It is Mary in person! But yet She has Her precursors, — holy women, apostles, who shall cure the wounds of the body as well as the sins of the heart. Holy women, images of Mary, shall have power to work miracles. After them comes Mary to prepare the place for her Son in His triumphant Church. “Behold the Immaculate Conception of the kingdom of God that precedes the arrival of Jesus Christ! It is the mansion of God upon earth, which is going to purify and prepare itself to receive Emmanuel. Jesus Christ cannot come into this hovel of the world! It is necessary that God should send His Holy Spirit to renew the face of the earth by means of another creation, to render it a worthy mansion for the God made man. Behold! After the fire from below that will burn everything and leave no stone unturned, behold next the fire from above to enkindle and transform everything! The love of God comes to embrace and transfigure the world. -"VOIX PROPHETIQUES- SIGNES, APPARITIONS ET PRÉDICTIONS MODERNES" by L'ABBÉ J. -M. CURICQUE, 2nd Edition, 1872. -“The Christian Trumpet” by Gaudentius Rossi, 2nd edition, 1873. Part of the mission of this website is to provide truthful information about the lesser known purported mystics of the Church. 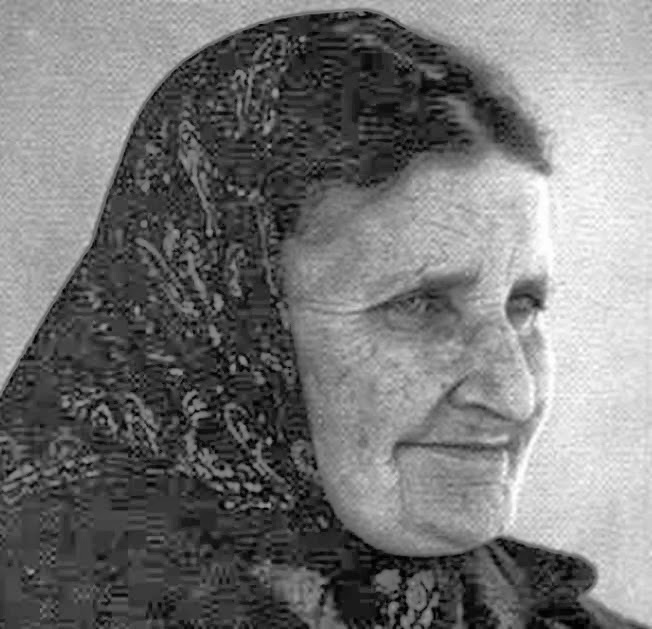 The above prophesy of Madeleine Porsat follows in this spirit, and it is the first time her prophesy has been published in English on the internet. 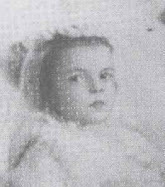 In my investigation I discovered that a few French and Spanish websites incorrectly have Madeleine listed as being born in 1773 and died in 1843---This is completely inaccurate because all three of the books listed in the references above state that it was the prophetic message that was given to her in 1843, and that she was interviewed by Gabriel-Désiré Laverdant in 1866 and again in 1869, and that she was still living at the time of publication of the first two books, 1872, 1873. 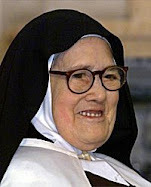 Secondly, several French and Spanish websites also have Madeleine Porsat listed as becoming a Poor Clare nun (presumably later in life) and also being declared "Venerable". 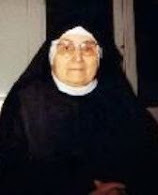 Now, concerning the possibility of her being Venerable, I contacted Padre Angelo Paleri, the Postulator General of the Franciscans in Rome who consulted the Index ac Status Causarum (1999) and its Supplementum (2000-2007) published by the Congregation for the Causes of Saints, and he was unable to find her name listed there. 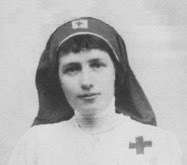 Also, I contacted several communities of Poor Clare's (sometimes referred to as Clarisse nuns--see email to the left). 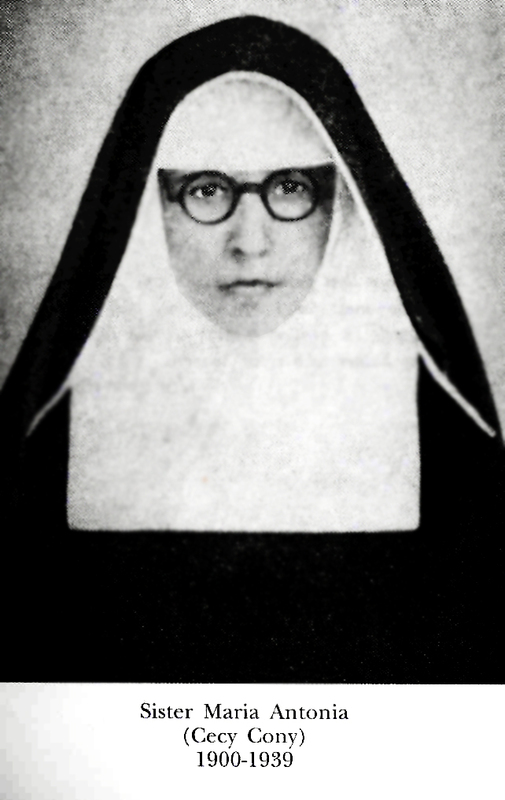 Likewise, thus far I have been unable to confirm that she became a Poor Clare nun. The three books listed at the bottom of this article that were written during or soon after her lifetime state only that she was a domestic servant (a maid) for over 50 years. 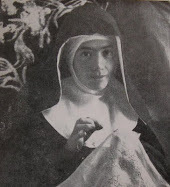 This writer thinks it likely that because she was in the chapel of the Poor Clares convent in Lyon, France when she was first told of her mission to spread this prophesy, perhaps someone assumed that she was a poor Clare, and the misinterpretation went from there. 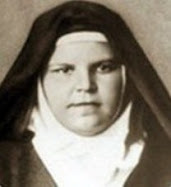 It is also possible that she was attached to the Third Order (Franciscans) as a layperson. 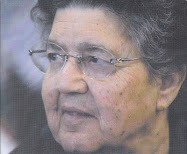 I regret to tell you that we found nothing concerning Marie Madeleine Porsat in our archives. She's not in the list of the "Venerable" of the diocese. You could maybe see it with the diocese of Grenoble, of which she's native. The Archdiocese in Lyon also informed me that currently there is no community of Poor Clares today in Lyon. The nearest community near Lyon is located in Voreppe Isère, 100 km from Lyon. 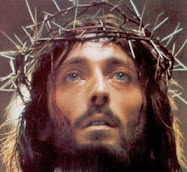 -Jesus Crucified, have mercy upon us and upon the whole world. Pour out your Precious Blood upon us, to wash us and cleanse us of all of our sins! 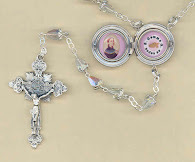 Help support this website--Check out the relic lockets and relic rosaries in the Mystics of the Church Gift Store. Its interesting how back in the 19th century she would predict a global economic calamity with a loss of confidence in the monetary system at a time when economies were specific to each region or country. Of course now in our present day our economies and commerce are very much interconnected. Those who have control of money have based it not on precious metals such as gold or silver, but on faith in the credit of countries, but that has been changed so that debt is bought and sold as if it had value and when what is owed cannot be had, and it never had value, then those holding it will be overwhelmed because they have nothing of value. Bankruptcy follows and there is no more money to satisfy the distress, since it has already been spent by the same banks that were relieved by being given cash. The cash came from governments but they got it from citizens who earned it by labor, and not as with the bankers by flim-flaming gullible fools into buying debt. Likewise, the value of shares is based on the presumed value of goods manufactured and services rendered. But worker wages have declined and they have no surplus to spend or invest, and services are not as valuable as they once were so that taxes on which government loans are based are not sufficient to take care of needs of the people or businesses. The result is that at some point the banks have so squandered their capital that they are actually in debt, and the worthless debts they bought to make a profit have indebted the banks who gambled and now have lost all. There is no money in the government's treasuries, and the banks have nothing to pay their debts and everyone is looking for a way to buy what they need but they have no money. The old notion of barter cannot work on a large scale, so the poor are the only ones who might use it to survive getting what they need. Banks, governments, and stock markets are all penniless. This is not a future thing, or a grave prophecy, it is the truth concealed from the public and denied by the most vulnerable because to acknowledge it is insupportable. The disabled and elderly are the most vulnerable and the suffering will begin first with them and spread to everyone else as everyone stands in line for bread and banks and stock brokers and businessmen chuck themselves out of their office buildings, ruined by their greed and stupidity. It is very real right now and the collapse of one economy can knock out other economies until all economies as in ruins and shambles, the disorder spoken of in the prophecies. think for a minute; the eldrly live on social security that the government mandated should be funded from worker wages for the future use of retired elderly. Now the price of rent goes up so precipitously because someone decided he can raise them too high for the elderly or anyone else to pay, but the government has not left the funds alone but squandered them so that the fund is broke. Now the elderly and disabled have no way to pay their rent and elders die in the street. Not only that, since food is so expensive and the rent so high they can't buy food, the elderly die of starvation. No, we do not need mystics to tell us where things are headed, because it has become so easy to see, but they can call us to reality which is the need for a spiritual reform of our attitudes toward God and one another. I thank Glenn for posting this page for our sake. May we profit from his work. Thank you Michael for sharing your thoughts and reflections. The glaring falsehood about Pius IX invalidates this "prophecy". I had to delete and then immediately repost your comment because you actually had misspelled a word that (I am sure!) was unintentionally inappropriate with the misspelling. To reply to your comment, we have to remember that all prophesy/private revelation goes through the "filter" of the individual who receives it, and therefore *most of the time* it becomes subject to the interpretations of that individual person. I say "most of the time" because some revelations are direct and are not subject to the interpretation of the receiver. I have currently been reading a book by Fr. Benedict Groeschel entitled "A Still Small Voice" which delves deeply into this matter, and he specifically highlights the point that just because one particular message of a purported private revelation/prophesy may be correct (or incorrect) this does not necessarily validate (or invalidate) the entire revelation/prophesy itself, due to this very fact that prophesy/private revelation is normally subject to the receivers interpretation. Now, if the many parts of the revelation/prophesy is invalid, then this would be a sign that it is not authentic. An example of how prophesy is subject to interpretation of the person who receives it would be in the life of St Joan of Arc: Even the greatest Saints have occasionally completely misinterpreted the prophesies given to them. Towards the end of her harsh and very unjust imprisonment, a Voice from heaven revealed to St Joan of Arc: "You will be released on May 30th!" Oh, how her heart leaped with joy at the revelation of her imminent release from the torturous prison, after having suffered a rigorous imprisonment for one year! She gloriously shared this great news of her forthcoming release with the few people who were allowed to visit and attend to her. 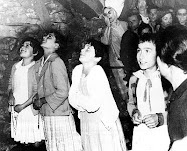 What she didn't know, but soon learned, was that the promised "release" consisted of the terror of her being burned alive at the stake, her soul thus being released from this life, to fly to heaven to be with her Jesus. -How different is the perspective from heaven than that of us here on earth! "For My thoughts are not your thoughts, neither are your ways My ways, declares the Lord." (Isaiah 55:8) And so we see how even the greatest Saints can completely misinterpret what would seem to be a very simple and straightforward prophesy. 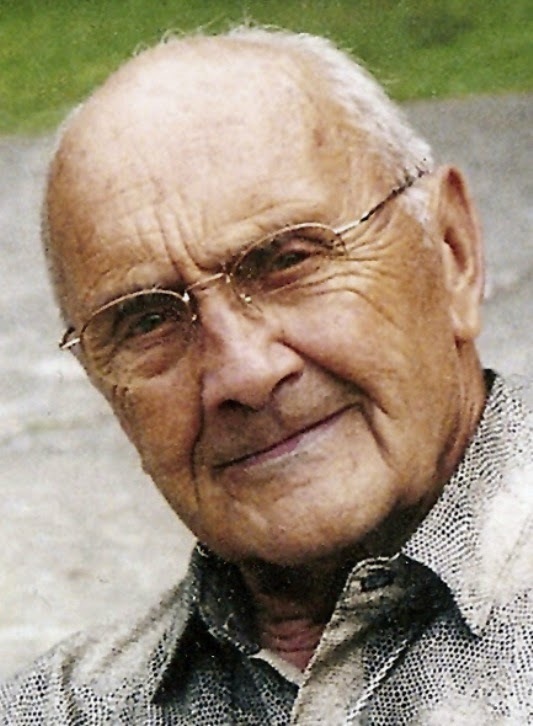 I would also like to add that concerning Madeleine's prophesy of a forthcoming global economic crash, a contemporary purported prophet/visionary named Charlie Johnston has currently been going around the country speaking directly about this. Those interested can Google "Charlie Johnston". Again, as stated in the article above, the purpose of this website is to inform about purported mystics and visionaries, and so I make this comment for the sake of information, leaving each person to discern such persons and their purported heavenly message for themselves. Thanks, Glenn. I was about to leave a similar comment. For all we know, she saw the vision of a Pope, and to her it looked like Pius IX, so she said Pius IX. One error does not invalidate a prophecy. We may well be headed to an economic crash, that now seems fairly likely. However the idea of the three ages, one for each Person of the Trinity, needs to be viewed very cautiously. When Joachim of Fiore preached this in the middle ages, he was condemned by the Church. However there may have also been other factors, I'm not an expert on him. I would hope that some theologian might be able to properly evaluate that aspect of this prophecy, since it may be contrary to Church teaching. Nobody needs to be a psychic to see the inevitable economic disaster. I can predict one next century too. A war and famine will be part of it all. A dictator will rise up; the people will like him/her at first but then there will be a downfall. Also, its highly probable that a nuclear detonation that will lead up to this global collapse. It's surprising that hasn't happened already. I figured Joachim of Fiore would be brought up fairly quickly in this discussion ;-). Indeed a valid concern, Sr. Marianne, so thank you for stating it. 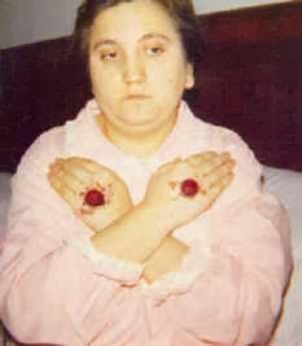 But if I may, I'd like to link here to my Ebook (just a free PDF) where I address it (pages 65-69), since it is an objection also issued against the topic of that book (the revelations to the Servant of God Luisa Piccarreta). Thank you Sr. Marianne Lorraine Trouve for your comment, and thank you Daniel O'Connor for the valuable information concerning Joachim of Fiore! I find this particularly interesting because of the conversations of Jesus with Debra of Australia in which He said that soon all would be Catholic - even Jews - much to her amazement. He also spoke of the economic crisis to Debra in 1995 There is an extract on www.catholicbooksanddevotions.com for those who want to check it out. 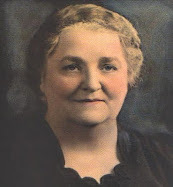 Regarding the prophecy that the earth will be drastically changed , domesticated from its wild beauty into a "hobbit town" kind of topography, there is the ADDITIONAL VISIT OF THE BLESSED MOTHER(1943, written down in 1944 BEFORE she then wrote down the original 1917 Secret known as the 3rd Secret) TO SR. LUCIA, A "FOURTH SECRET" OF FATIMA. 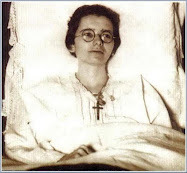 This has been revealed in the new biography of her by the Coimbra Carmelite monastery where she lived her last 57yrs, recently published in English. It speaks of an Angel throwing a fiery spearhead that hits the AXIS OF THE EARTH,THROWING THE EARTH OFF KILTER, CAUSING HUGE CLIMATE CHANGE RESULTING HUGE EARTHQUAKES AND MEGASTORMS etc. There is no sight of the Blessed Mother deflecting this event (perhaps because the consecration of Russia by the Pope and whole Catholic hierarchy was to PREVENT WWII did not happen. Thus the additional vision revealed in 1943, shows the Angel going ahead with God's plan of cleansing the earth, modifying it with HUGE loss of the world's population by means of altering the axis sure accounts for climate change. In this view WE ARE THE REASON FOR THIS SPECIFIC CHASTISEMENT BECAUSE OF OUR INDIVIDUAL SINS COLLECTIVELY CONSIDERED. 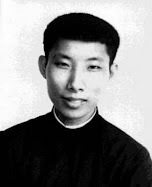 THE DROPPING OF MOUNTAINS AND THE LEVELLING OF THE EARTH INTO GENTLE VALLEYS AND PLAINS is found in contemporary prophecy within the Church and several near death communications. Their children are illegitimate quite frankly, and he knows this right well. To, “hold them at a distance from the life of the community, as if they were excommunicated,” Pope Francis opines concerning the adulterous couple, will somehow prevent the Church from catechizing the next generation of children of these adulterous relationships which seem to be so prevalent in the Church today. This is a real dilemma for those in the Vatican who have created all these societal anomalies over the last fifty years with their Vatican II theology for which they now pretend to offer remedy. I’m sorry. If the Romans do not offer up this compromise, their church will disintegrate. Surely you are not referring to Debra Burslem of the Magnificat Meal Movement International which has been excommunicated and barred from the Eucharist by the local Catholic bishop. This woman has fled to Vanuatu and owes the Australian tax office 5.5 million. See link below. Thank you for the info on Debra. I find it absolutely incomprehensible that these allegations concern a person who has published the most incredibly beautiful and orthodox religious prose - whether false or genuine. Such a depth of understanding of Catholic theology and practice is highly unusual; and it is marvelous in its directness and simplicity - which points towards its genuineness as coming from the identified speaker rather than from academic study in theology. I have yet to be convinced that satan would write such beautiful prose to convert people to God. That she should have invented these passages on her own bat is past my fathoming; it is not impossible, but I judge it to be improbable. Nevertheless, in the meantime, I enjoy and benefit from the content and time will tell whether they are genuine or not. All prophecy/Messages have to be weighed according to their orthodox content - my particular bias, if you like - and the passage of time - God likes to embarrass the false prophets and fulfill the prophecies of His own prophets. The oft quoted disdain for prophetic messages tends to pass over the fact that all prophecy at the time of its announcement is 'private revelation' and there are always those who accept it and those who don't. The story of Noah is a good example of this. Some were saved but most drowned. So, I take a wait and see approach. 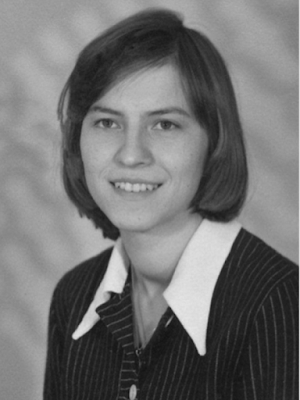 Oh, she would not be the first to be wrongly excommunicated - think only of the recently canonized Australian saint. It must be a terrible trial for any devout person. Humanity does not like God to interfere in our comfort zones or surpass or dismiss our view of our overall authority and wisdom - history is replete with examples of this. Our collective nobility of spirit is matched only by our wretchedness. Alas! re:*[Gabriel-Désiré Laverdant reports that a certain individual, having found fault with Magdalene for saying that Pius IX was to be the last pope to be oppressed, she replied that at Pius IX was the last pope of an epoch. This writer is not sure how to justify this part of the prophesy other than to say that she likely misinterpreted this part of the revelation given to her.] - a very probable explanation is that Pope Pius IX was the last pope to also be a sovereign power as all Papal territories etc were grabbed/conquered, with the exception of a large estate (less than a 1000 acres) called the Vatican. The last vestiges of Catholic theocracy did indeed end in this period (epoch). re everything else sure meets appearances test as Michael Miller well described; all nations with a few exceptions (Libya, until 2011, Iraq, until 2002, Syria, Iran, and possibly China; NOT RUSSIA) have ALL surrendered their sovereignty in money/credit supply management to BIS (bank of international settlement) circa 1930, accelerating in 197? when membership grew to over 60 countries. It is nice to hear from you. Thanks for your comment. 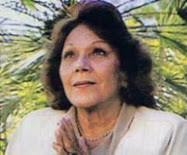 To reply, so far I have not published anything about Marie Lataste, although I have read some tidbits about her here and there. Perhaps I will be able to put something together about her in the future, God willing! Thanks be to God there are so many extraordinary and wonderful mystics in our beloved Catholic church that it will take many, many years for me to get even a good sampling of them on this website, but with the help of a few others I am working on it, so stay tuned! I recently have looked at reprint of some important radio interviews of the late, possibly murdered, Fr Malachi Martin. (there are 23 hours worth on U-tube) I am shaken at how many completely unexpected predictions he made which have come true -- in an aside, he predicted Brexit but added that he doubted that the UK would actually regain genuine soverignty from the European Union. . . . 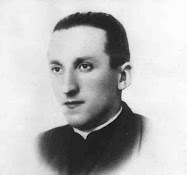 He was privy to the 4th secret of Fatima, & was under oath not to reveal it; however he could answer yes or no questions about it to a limited extent. He feared a Jesuit Pope, the widespread and unnoticed apostasy of the Church; and described how the evil forces behind Globalism (including but not limited to Masonic prelates) would bring about Fatima' terrible chastisement by means of Russia. Spend some time looking at Fr Martin's "predictions": they are relevant right now. This prophecy is near completion. He is coming. History repeats itself. Her predictions are happening every century. what's new with it? Is no one else troubled by her referral to The Holy Spirit as feminine? I just cannot accept that the spouse of The Blessed Mother is a she.